Everyone in every culture has some sort of object that they believe will bring them good luck, be it a four leaf clover or a lucky pair of sweat socks. When it comes to college with its exams and papers, you usually wish that you had some little extra thing to help you study. In this article, I hope to show you some good luck charms that are specifically directed towards better luck in studying and wisdom. 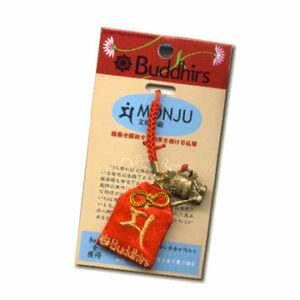 In Japan, you can actually get a good luck charm for studying called a Monju that you can wear on your key chain, backpack, cell phone to bring you better luck when you study for exams. But, with the costs of airfare and the hassle of customs going to Japan to get a charm might not be a good idea. Instead if you want to get this charm, you can order it off the Internet. An owl, luckily for Prince George’s Community College students, is considered to be a lucky charm that brings someone good luck in regards to studying in general and it also almost universally represents wisdom in many cultures. You don’t even have to have a pet owl for it to bring you good luck; a little statue, doll or owl on a key chain will work just as well. A turtle or a turtle-shaped charm represents several things: courage, creativity, intelligence, spiritual protection, compassion, fertility, sexuality, and protection. So all in all, a turtle is a well-rounded good luck charm. The symbol for the planet Mercury when it’s worn is supposed to bring success in the arts and the sciences. And it’s most useful when the symbol is on a charm made out of agate, carnelian or sardonyx. Wearing a foxtail or attaching a foxtail to your personal possessions is a good luck amulet that was believed by primitive people to endow the wearer with the cunning of a fox. If you don’t want to steal some poor vulpine’s tail, you can just wear a charm that represents a fox, or have a little fox statue, doll, beanie baby, etc that should bring you the same luck. A fox is also said to bring success in business, accumulation of wealth, the safety of family members, and the prevention of traffic accidents. This one might be good to put in your car too. Originally published in the Prince George’s Community College Student newspaper, The Owl. This entry was posted in Owl Article and tagged monju, owl, pgcc, study, superstitution by studiohnh_ck01i0. Bookmark the permalink.